Why are you doing this- To save my people. One of the many characters to come out of the Warcraft film is one of the main heroes, Durotan. A warrior Orc, who will do anything to save his people, even if it means betraying them for the better of their world. A brave, noble, and compassionate warrior, Durotan would make an alliance with the humans, the enemy, just to keep his family and people safe from harms way. 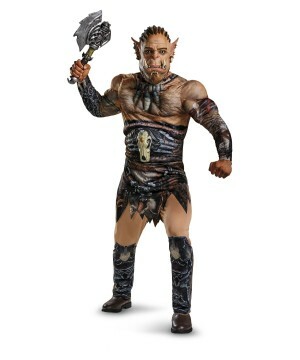 The World of Warcraft Durotan Deluxe Muscle Adult Costume will make a barbarian warrior out of you. Costume brings Jumpsuit with muscle torso and arms, detachable skull piece and vinyl mask. 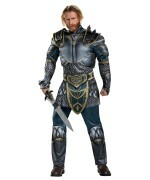 This officially licensed World of Warcraft costume comes in sizes Teen (38-40), and Adult Standard (42-46). 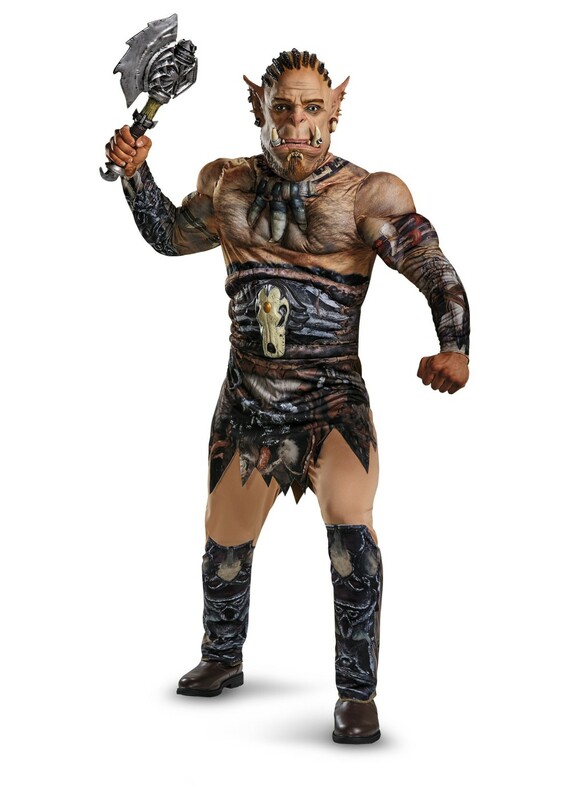 Review(s) for " World Of Warcraft Durotan Muscle Teen/adult Costume Deluxe"